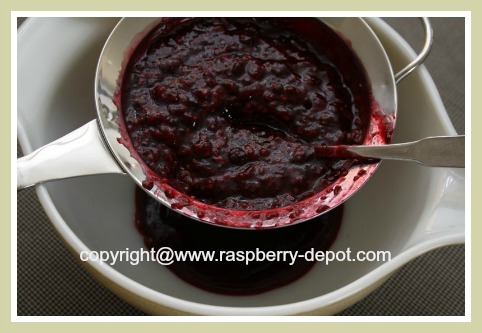 This Red or Black Raspberry Sauce Recipe with or without the raspberry seeds removed, makes the very easiest and best homemade raspberry syrup for topping almost any food! 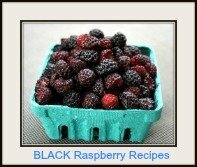 You can use fresh OR frozen raspberries to make this amazing recipe! 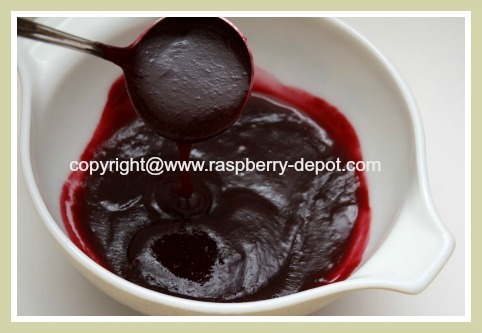 Raspberry sauce or syrup is very versatile delicacy ... top your pancakes, waffles, ice cream, pudding, cheesecake, brownies and more with the scrumptious genuine flavour of a healthy fruit filled sauce! 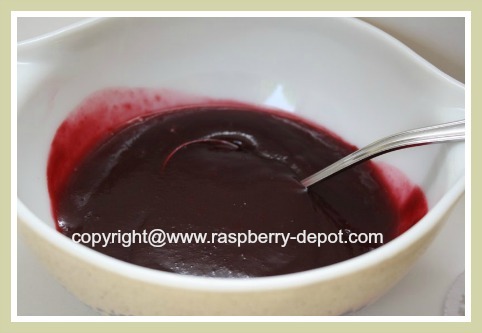 In a pan, combine the raspberries, sugar and orange juice. 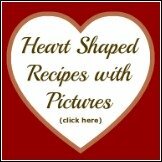 Whisk the cornstarch into the cold water until a smooth consistency is reached. 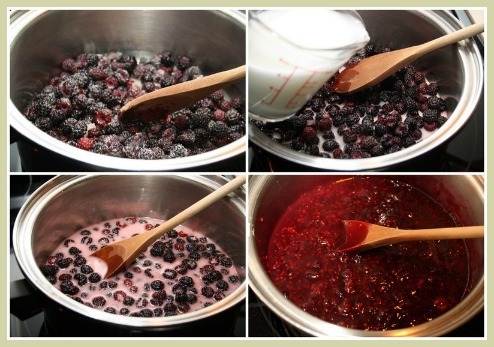 Gradually stir the cornstarch mixture to the raspberries in the pan, and bring the mixture to a boil. Stir almost constantly to avoid sticking or burning. After a boil has been reached, reduce the heat to medium-low and allow the mixture to simmer for about 5 minutes, or until the desired consistency is reached (the sauce will thicken further as it cools). Stir constantly to avoid sticking and burning. 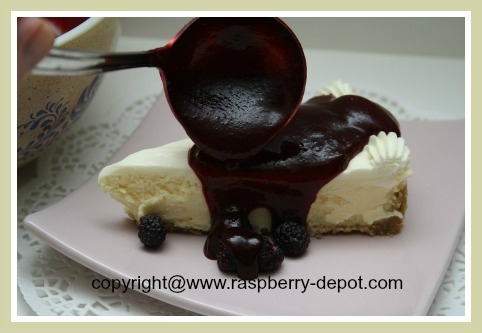 If the sauce is too thick, simply add a little water, a few drops at a time. 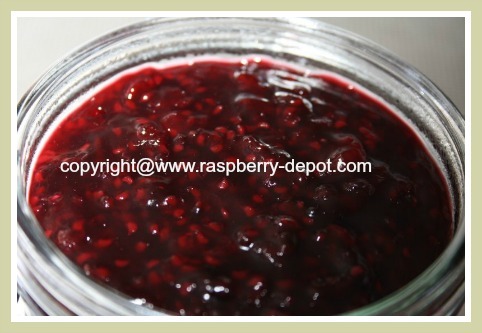 Note - if you wish to remove the seeds, puree the sauce in a blender and strain it through a fine sieve (see image below). Store leftovers in the refrigerator for up to two weeks. 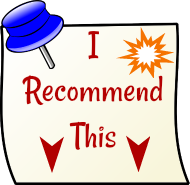 It is not recommended to freeze this sauce as it will be "lumpy" when thawed. 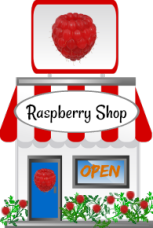 Tip - a visitor to Raspberry-Depot.com suggested that she likes to substitute the 3 tbsp. of orange juice with 3 tbsp. of Grand Marnier liqueur. Sounds yummy! 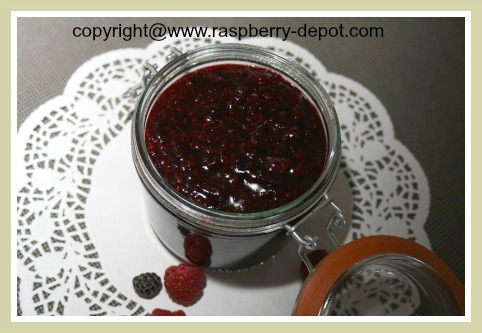 If you wish to use frozen red or black raspberries to make the sauce, thaw the berries, and reserve the juice. Use the juice as part of the water called for in the ingredient list. 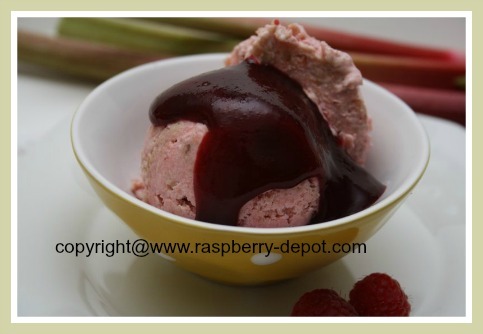 I also used this amazing berry sauce to top the rhubarb raspberry ice cream I made (see below)!